All our engineers are fully trained in the survey of all photo luminescent signage. 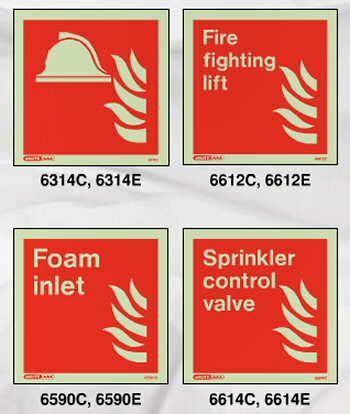 Fire Control UK can ensure that your sign installation complies with BS5378: Part 1: 1980 & Part 3: 1982, BS5499 Part 1: 1990, ISO 3864: 1984, and satisfies the requirements of EC Directives 77/576/EEC & 92/58/EEC. To help guide people to safety, JALITE have developed photo luminescent escape route lighting systems for use in commercial and industrial environments. These are designed to communicate a clear, unambiguous, continuous means of escape message right through to a place of safety. The JALITE system accommodates all the appropriate signing for the location and identification of fire fighting and safety equipment to meet the requirements under Health and Safety at Work Regulations. Should you require any further information please click here to contact us or call our free phone number 0800 243264. Click here to visit the Jalite website to view these products in detail.